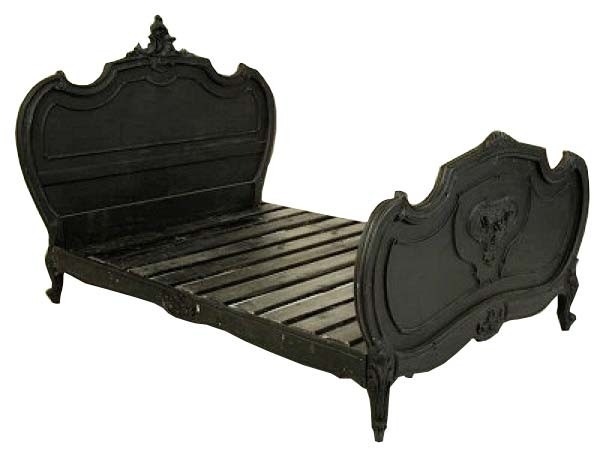 A classic French style bed with beautiful hand carvings and finished in painted noir black. Easily assembled and supplied with bed base slats ready to take the Kingsize mattress of your choice. Also available in Antique White. Dimensions in cm: 200L x 160W Kingsize.